were removed from Henry Frankenstein's Monster and flees. Somewhere around this year, a brilliant but grieving scientist named Dr.
that his "little boy" would never leave him. reasoning must have thought it best. 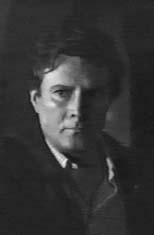 ** See Erle C. Kenton's file THE GHOST OF FRANKENSTEIN. Prof. Ivan Ronald Schablotski for uncovering this important bit of info. and his sister Lucy Weston,* the children of Jonathan and Mina Harker. named after his friend and old flame. Prof. Leyland Van Helsing journeys to England to assist Quincy. Together they stake the Prince of Darkness and believe him destroyed. father to ashes so that she can exist with out her dark sire's scrutiny. where he was buried in 1918 by Prof. Sanders and Lady Jane Ainsley. master's wishes. The Star Stone ring is later returned to Transylvania. one whom the Count would later find a very interesting use for. League of the details of Lucy's husband. light on how Lucy was part vampire from birth. the gaps he had no knowledge of. **** See agent Garret Fort's file DRACULA'S DAUGHTER. into motion to rule over all humankind. and entered society as his wife, Wandessa Mikelhov. Palace as his guest, in the hope of making him an ally. Van Helsing family will not reveal who her parents were. 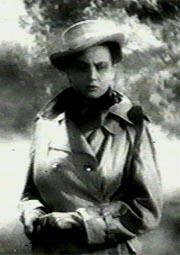 during this mission, but is thwarted by detective Jules de Grandon. following the failure of this mission, and put back into storage. Imre's sons Heinrich and Helmut. 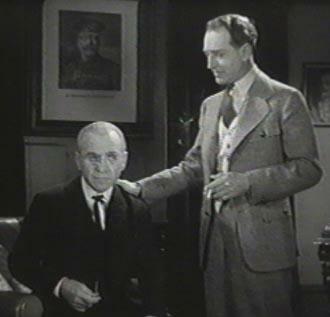 * See Seabury Quinn's file The Man Who Cast No Shadow. Baugh and Rick Lai, click HERE. Dracula-Prime or one of his soul-clones. conducting research on this matter, and may provide details at a later date. mother (possibly the same maternal parent of Matthew Van Helsing). has been mistaken for the original Monster. Frankenstein clan adopted a young boy named Dennis "Denny"
to fight and destroy the Creature when he achieved young adulthood. routinely faced made him the ideal individual to give it such a test run. published by Dennis Drukentis from 1999 onwards. ** The full story of Imhotep I was chronicled in Karl Freund's and John L.
framework that Prof. Eckert has established, however. finds his scientific knowledge useful. Stewart Talbot returns to Talbot Castle in Llanwelly, Wales. father, who uses the Wolf's Head scepter as the instrument of death. and was originally killed when shot by hunters mistaking him for an animal. a soul-clone out of a creature already tainted with Undead blood. ** See Curt Siodmak's file THE WOLF MAN. 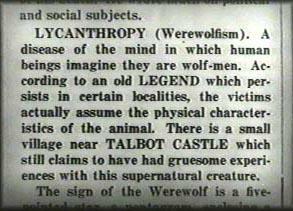 provide clues to the connection between the Talbots and lycanthropy. darker truths behind these matters. dreamed, and brings to light the cause of this terrible affliction. ***** See Timothy Friend's file BONNIE AND CLYDE VS. DRACULA. annoying reject soul-clone Lestat, who is located further south). Dracula-Grodimn's failure in this endeavor comes from two sources. takes the skeleton, coffin, stake, and all to feature in his traveling show. Henry Frankenstein's Monster, Dracula-Prime returns to sleep. * See file SON OF DRACULA by Curt Siodmak. Omnibus, published by IDW Publishing. immediately die of the gunshot wounds. another mortal to give it to. 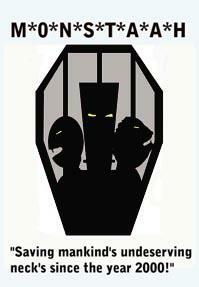 * See Rick Shanklin's file The Bat one-shot, published by Apple Comics. life. The two of them end up journeying to Visaria, seeking the aid of Dr.
daughter Elsa and Henry Frankenstein's Monster (with Ygor's brain). be the same individual as the "near-immortal original Dr. Frankenstein"
based upon painstaking research on his part. the road. At Niemann’s bidding, Daniel the hunchback strangles Prof.
gypsy girl he fancies, is in love with Talbot. this knowledge, he sets a new plan in motion. Vampire Lord, which takes a decade to culminate. be confused with Prof. Mark Brown's article of the same title. he also met Dracula-Lejos for the first time. this incident, Dracula-Lejos and Talbot become arch-nemeses. legitimate monster "corpses" to display for paying customers. embittered member of the clan known as Dr. Basil Frankenstein. copy of Henry Frankenstein's journal, The Secrets of Life and Death. anger and hatred than before, leaving him ripe for corruption. with the surpassingly brilliant Japanese surgeon Dr. Izuma "Kitty"
are sent to investigate, only to end up captives of Frankenstein. months--did his best to resist the oppressive control he was under. the castle that stood over a cliff side at least a hundred feet high. fully recover over the course of a few years. well educated, as he learned to speak English in very articulate fashion. as one of the Frankenstein Monster copycats. identify possible appearances of Adam Frankenstein Jr..
Talbot genealogy, foremost among them being Prof. Steven Pertwillaby. ** At this time, how this happened is unknown. Invisible Agent. See Jeff Rovin’s report Return of the Wolf Man. For more information on Dr. Peter Dury and Frank Griffen see Prof.
Side Show were first chronicled in Sean Todd's file "Freaks of Fear,"
first chronicled in Christofer Nigro's file "The Privilege of Adonis,"
powers so as to give him the ability to forcibly bend others to his will. reveal that secret to him. withered body and into the skull of a young Hyperborean girl). Conan and Red Sonja lived. monster hunter as a member of the League of Anti-Diabolists. reducing their power and threat level to the world over the millennia. Jim Wade Vol. 2: The Horror of Hyperborea, published by Pro Se Press. the crew at MONSTAAH are quite indebted. Anthony and the most famous of them all, Dr. Clark "Doc Savage"
by these heroes, has not yet been subject to careful study. out of the resurfaced body. lets them know that he always stands ready to assist. Others who, like Dr.
de Grandin, Judge Pursuivant, and John Thunstone. Berlin Dr. Bohmer, who was at that time using the alias of Dr.
heart of Basil Frankenstein's first Monster by members of Hitler's S.S.
and perceptions of the Undead in many useful ways. memory and personality implants imposed upon him by Dracula-Prime. research, both of which he continued to avidly pursue. within the ranks of writers and academics. Rom murders Wolfstein, then slays two of the triplets born to Czinka. * Tesla, a semi-anagram of Lejos. 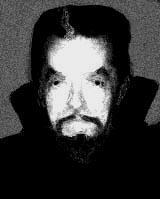 ** See Lew Landers' file RETURN OF THE VAMPIRE. chitei kaijû Baragon) may hold the answer. for that, and corrects it here in this timeline. ****** See Konami's report CASTLEVANIA: PORTRAIT OF RUIN. the late Dr. Ludwig Frankenstein. Dracula-Latos also arrives, claiming to seek a cure from vampirism. during one of these procedures merely reversed the process. a profound affect on the Latos Clone many years later. the quest to get the Monster of Henry Frankenstein to full strength. finger. The body of Dracula-Latos is shipped back to Castle Dracula. Elizabeth Mina, almost dies from blood loss and suffers severe trauma. his fate when a thug bashed his head and spine with a lead pipe. Atwood Garth, was an old friend of Prof. Harmon. declines, but Dr. Scott accepts and becomes the newest member. * See agent Curt Siodmak’s report HOUSE OF DRACULA. ** Which, ironically, has the brain of Dracula-Lejos' son, Ygor. in Sheridan Le Fanu's file Carmilla. ***** This is according to agent Jeff Rovin's report Return of the Wolf Man. Stewart Talbot, in werewolf form, is near the home of Baron Russoff. Undead himself manipulated these events. his own, and starts calling himself "Jack." globe in pursuit of Dracula-Lejos. mission, he can then try to fulfill his fondest wish: to die. uses the name Elizabeth and begins a romance with young Dr.
Frankenstein. The two are soon engaged. artistic sorcerer Comte de Saint-Germain, whom he perceives as a rival. year 1959 in this timeline. creature now harbored the damaged brain of his Lejos' offspring, Ygor. Mornay, a descendant of Dr. Moreau. Mornay also have possession of Henry Frankenstein’s notebook. In the meantime, Larry Talbot tracks Dracula-Lejos to La Mirada. soul-clones, he's not fooled by Dracula calling himself Dr.
strength thanks to the specialized galvanizing machinery designed by Dr.
land together in a roiling body of water. (and falling to catch) Grey and Young. widow of the late Baron Henry Frankenstein. Come Creeping Back! The Islands of Dr. Moreau by Prof. Dennis Power. bizarre individual was involved in a secret eugenics program in the 1960s. Mel Brooks, entitled YOUNG FRANKENSTEIN. ******* See Prof. Anton Griffin's file "Dracula vs. the Invisible Man,"
Monsters Magazine #53, and reprinted in The Midnight Shadow Show: Prof. Birth of Jaime Summers to James and Anna Summers. That same year, Kurt Van Helsing marries Anna Abronsius.